As summer slowly begins to wind down, some of our favorite Outer Banks event series are in their last week of production for the year. Don’t miss these final shows before they wrap. The 81st season of The Lost Colony ends this week with the final 3 shows on Monday, Tuesday, and Wednesday, August 20-22. This incredible stage production brings our nation’s oldest mystery to life through epic battles, Native american dances, elegant costuming and beautiful music at the Waterside Theatre in Manteo. The Town of Duck’s 2018 Concerts on the Green Series finishes it’s season this Thursday, August 23rd with rock, soul and roots music by the Heather Gillis Band from 6:30-8:00pm. Coolers, picnics, children and pets are welcome at the outdoor concert on the Duck Town Green. The 2018 Pickin’ on the Porch Series at the Bluegrass Island Trading Co. in downtown Manteo goes out with a bang on Friday, August 24th. The last show features a night of 2 great bluegrass performances. Carolina Blue starts at 7:00pm followed by Lorraine Jordan & Carolina Road at 8:30pm. Bring your chairs and coolers and come rock with us on the porch. The big event for young couples on the Outer Banks this week is the OBX Wedding Fest on Sunday, August 26th from 10:00am-3:00pm. The OBX Wedding Fest is a casual Summer wedding expo where engaged couples have the opportunity to meet with vendors of all types to start planning their Outer Banks dream wedding. Enjoy a day at the beautiful Duck Woods Country Club relaxing with a glass of wine as you sample food and meet with florists, coordinators, photographers, cake/confections, musicians and more! In addition to those events, there is also stand-up comedy, live music every night, and daily lunch & dinner specials to check out all across the Outer Banks. 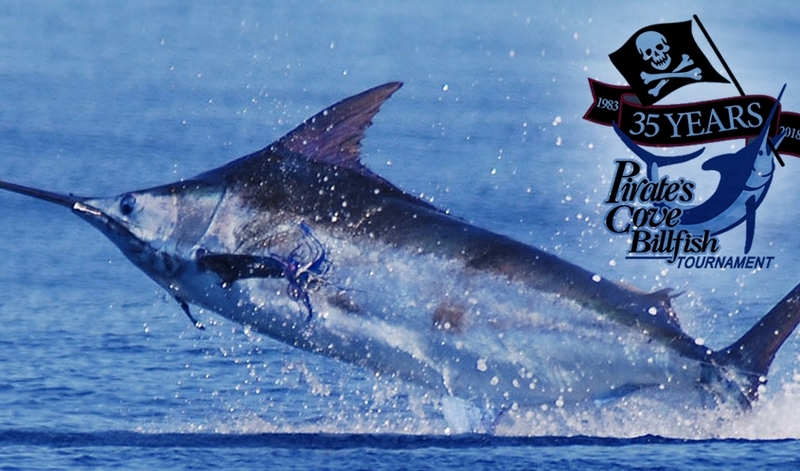 One of the most anticipated fishing tournaments on the Outer Banks, the 35th Annual Pirate’s Cove Billfish Tournament, kicks off today, Monday the 13th. There’s still time to register your team from 4:30-9:00 pm tonight. 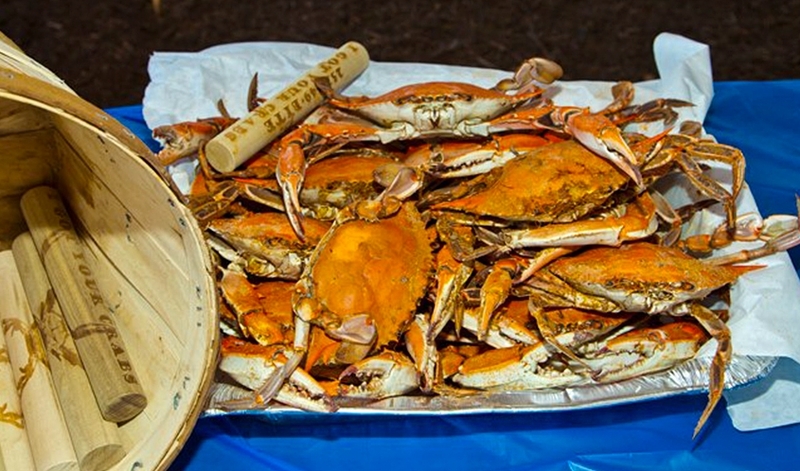 Tournament Week runs through Saturday, August 18th, loaded with great entertainment, vendors, food, fun and fishing out of Pirate’s Cove Marina in Manteo. Spectators can come check out the daily catch or follow along on live streaming VHF radio and a new real-time scoring App. 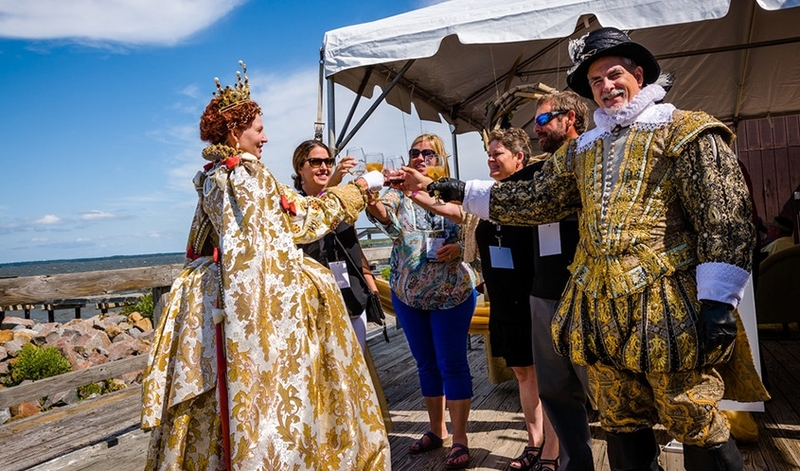 Get ready for a swashbucklin’ good time as Kitty Hawk Kites hosts the Outer Banks Pirate Festival on Wednesday & Thursday, August 15th & 16th. Pirates of Blackbeard’s crew and their mateys will be camped out at Jockey’s Ridge Crossing, teaching kids of all ages how the 18th century pirates lived on the Outer Banks. Learn to talk like a pirate, sword and musket tactics, shipboard line handling… experience historic blacksmithing, cooking, games and much more at this free, educational and fun 2-day event. Kick off your flip-flops and lace up your running shoes for some exercise at one of these summer race series this week. On Wednesday, August 15th, the Lighthouse 5k Race Series features a summer morning 5k run/walk through the Historic Village of Corolla Light. Enjoy the sights of the Northern Outer Banks with the Whalehead Club, Corolla Light and the Currituck Beach Lighthouse all along the course. On Thursday the 16th, runners or walkers can try the Nags Head Beach 5k or 1-Miler at Jennette’s Pier in Nags Head. This is the final race date of the season for that series, so don’t miss it! Walk-up registration is available on-site on the early morning of the races. Celebrate the 431st birthday of Virginia Dare at the Virginia Dare Faire on Saturday, August 18th! There will be events all day at the Ft. Raleigh National Historic Site free of charge and open to children of all ages. Join the cast of The Lost Colony to learn clay pot making and net weaving, shoot bow & arrows, watch street dancing & fight demos, take photos with the Queen and other cast members. Other fun activities include balloon animals, coloring, face painting, hula hoop, sack races, birthday cake and ice cream! Wrap up the week with some Sunday shopping to support our local artists at Art in the Yard on Sunday, August 19th. 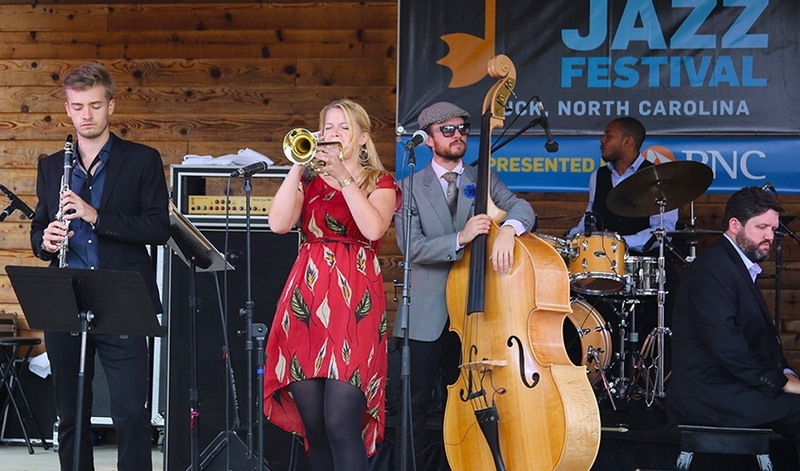 This seasonal artisan market features a wide variety of the Outer Banks’ favorite vendors, tons of amazing artists, music and much more. The market will be located in the yard between The Spot and Secret Spot surf shop from 1:00 pm to 5:00 pm. 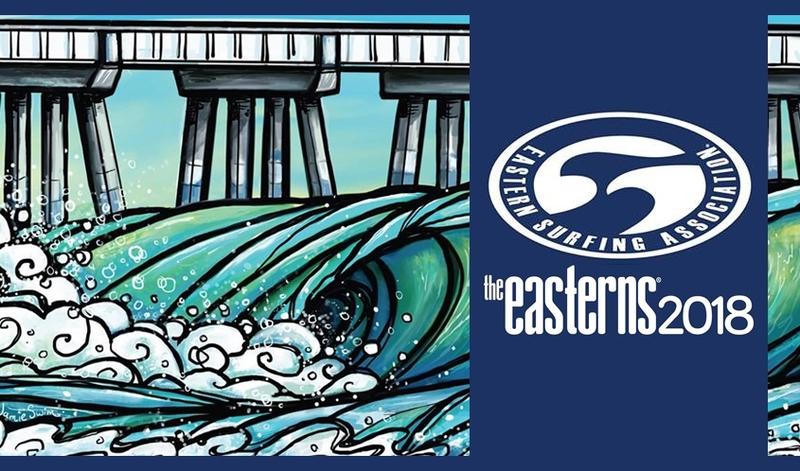 In addition to those events, there is also stand-up comedy, The Lost Colony 6 nights a week, live music every night, and daily lunch & dinner specials to check out all across the Outer Banks.